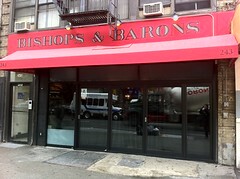 Bishops and Barons has literally rolled out the red carpet for an exclusive preview party this evening, but firefighters, despite their lack of “ambassador” credentials, had no problem getting into the new nightspot. 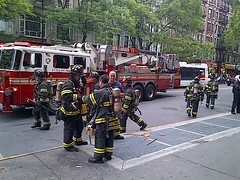 Around 6 p.m., smoke from the lounge’s kitchen brought red engines to 14th Street near Second Avenue. Fortunately, there was no serious fire. And the place can now claim to be a hotspot from day one.